Last month Heroku announced its acquisition to Salesforce for $250 million dollars, which is an amazing exit for a company that only raised $13 million dollars in funding. Heroku, a Ruby application platform-as-a-service was founded by James Lindenbaum, Adam Wiggins and Orion Henry in 2007. Last week, I had the opportunity to have a chat with James Lindenbaum about the acquisition. Congratulations, can you tell me how did the acquisition happen? Lindenbaum: We were not looking to get acquired, things were going very well and we were pretty happy. We had just raised a big round of funding and were excited about our existing road map. We have had an ongoing relationship with Salesforce for a while, and they approached us about the acquisition. There were rumors that you have been having acquisition offers for a while. How did you know that this was the right time to exit? Lindenbaum: You never really know that the timing is right. It’s always a tough decision. For us [the Heroku founders], we felt that the market that we are in is heating up really tremendously. One of the things that we are most interested in as founders is having a large impact on the market, basically changing the way applications are built and deployed. With Salesforce in particular, we felt that we would have an opportunity to make a larger impact than what we might be able to have independently. Mainly, because the space is heating up very quickly and as a small company it would take us a longer time to grow to the size where we could support a really large customer base and have a reasonably sized sales and support team – that is something that is already in place in Salesforce. 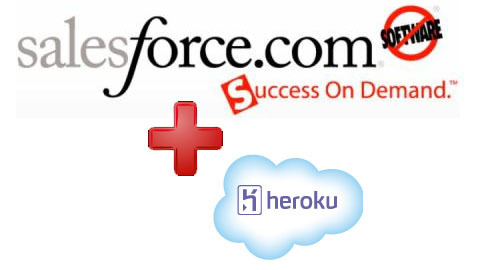 Why was Salesforce right for Heroku? Lindenbaum: I advise a good number of startups and a lot of them do get a lot of acquisition offers. Really, the first thing to do is to stand back and think about what you want individually. Then to also think about what the the strategy is for the company. For Heroku, it was never a short term play. 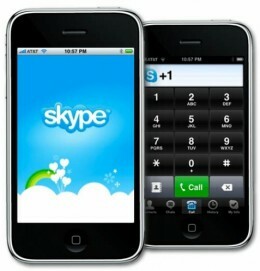 We were trying to fundamentally change the way applications are built, and we knew that was going to take a long time. We had our eyes on the longer vision. We have had other offers, and we have debated them pretty heavily, but at the end of the day we just felt like they really weren’t a good fit, and we felt like we were going to be leaving some opportunity on the table. One of the big reasons we knew the timing was right had to do with this particular acquirer. There is a known universe of acquirers for us. There are a set of companies big enough to pay a real price, for whom what we do is core and strategic for them. There is a short list of those companies and Salesforce is the smallest of those companies. Salesforce might seem like a huge company from a startup perspective, but if you look at big tech companies Salesforce is pretty small and agile relative to them. They are also one of the few companies where the founders are heavily involved in the running of the company. We found that to be strongly reflected in the culture and the types of people working there. Having the original founders still there is a positive thing. Philosophically they are really well aligned with us; there are a couple of core things that we believe in. We believe that all these services and cloud platforms, the value comes from us running it as a service for the customer. We don’t think that packaging up our software and shipping it to somebody to run themselves delivers the value. We think a huge portion of the value is in us running it. Most other big tech companies that are in the PaaS [platform as a service] space don’t believe that. They want to sell a boxed version because they see an opportunity in the short-term to sell a boxed version of a PaaS to big enterprises to use in their private cloud. Salesforce is an original platform-as-a-service company. They believe religiously that service is the only way to go. They are never going to sell software. We share that view with them and that was a really good point of philosophical convergence for us. Technically, and architecturally there are some similarities. They believe strongly in multi-tenancy which is a really core principle of ours in the way we architect our product. And as we got more and more into deep technical conversations with their product and engineering teams, we found that while we build things that are totally different and use technologies from different eras, the architectural philosophies are really similar. So we just felt like it was the right acquirer, and it was at a key inflection point in the development in this market where we felt like it could have a really big impact. What would you change about the acquisition process? Lindenbaum: It was a lot of work, but we felt it went well. There isn’t anything I would change. In general, most startups have the biggest regrets around price. In the past, when asked by investors what our exit plans or exit price is, my answer is that there is a spectrum. On one extreme end, you have people who want to flip the company as soon as possible. They want to build it and sell it as early as they can. On the other extreme end of the spectrum, you have people who believe the company is their baby, and they never want to sell it regardless of the price. My answer was always that we were neither of those extremes. At any given time if you are given an offer, especially from a good company that is synergistic, you have to stop and give it some serious thought. It’s actually really useful because you have an existential introspective moment every time that happens. This is a bit distracting if it happens a lot, but it gives you an opportunity to think about the big questions like “what are we really doing here”, “how’s it going”, and “where are we headed”, and those are good questions to ask. How long did it take from the start of negotiations to money in the bank? Lindenbaum: It took two and a half months. It was pretty fast; once we decided to do it both companies wanted to move quickly. There is an enormous amount of work that goes into this type of deal. There is always a tremendous amount of complexity involved; legal and finance mainly. It wasn’t just two and a half months of stuff going on in the background, it was two and a half months of full-time effort and attention from two large teams on both sides plus a lot of lawyers. It went smoothly and it wasn’t adversarial, but it was still a lot of work. Will all of the founders be staying on at Salesforce? Lindenbaum: Absolutely. In our case, we still have what we think is a couple more years of technology that we haven’t finished building. We had a broad vision that we started out with a couple of years ago, and we haven’t finished building all of it. We are all excited and looking forward to working on this vision and staying on at Salesforce. Will Heroku be merging with Salesforce? Lindenbaum: We have stayed independent and we have our own office. It’s still very early on in this market and there is a lot of innovation to be done and a lot of technology to be built. There is also a lot of experimentation with the business model that has to go on. It makes sense for both Heroku and Salesforce to remain independent and for us to continue to build out the stuff that we need to build. Bigger companies move slower than small companies. Both Salesforce and Heroku feel that if we remain independent, we will be able to move faster as a company. Over the very long-term we will get more efficiencies from merging with Salesforce, and we will do those as they make sense. However, there is no immediate rush to do that. Has your day-to-day role changed? Lindenbaum: No, not really. That was part of the planning of this acquisition and one of the reasons we were willing to be acquired by Salesforce. There are thirty employees at Heroku and the vast majority of what everyone does here has not changed at all, especially the engineers and the product team. There are a handful of us who have had more interaction with Salesforce and are trying to integrate our strategies across the board. Other than that, our day to day hasn’t changed. How is working with the CEO of Salesforce, Marc Benioff? Marc is a great guy and a really nice guy. He cares about the happiness of everybody in the company. He and his team have been super nice to us and helpful. Sometimes M&A [mergers and acquisitions] deals are very adversarial, but due to the team there and especially Marc and his co-founders Parker and Dave, who were both heavily involved with the deal, it was not adversarial at all. It was as enjoyable as this type of process can be. How much has your roadmap changed since the acquisition? Our product roadmap is the same, but we might be able to reach some of our goals faster now because we have many more resources at our disposal. We have more hiring power, so we can execute faster. What product developments can we expect with your new resources? A lot of it is very specific and technical stuff. The general overview is that every week we are releasing new features that allow people to build more complex and larger scale applications, which is really exciting. We are also moving more toward some of the newer technologies on the web. For example, we don’t today support web sockets, which are important in building real-time web apps; we are in the process of adding support for that. What about you personally, are you putting your extra resources to use? Lindenbaum: I am making personal investments, and I have been for a number of years. I started by advising companies and then started investing in some of them. The three of us [other two co-founders of Heroku] invest together. We work well as a team and feel that we add a lot of value as a team. We focus on investments in similar markets like infrastructure and the B2B enterprise space. That’s an area we know and feel that we can add a lot of concrete real value. We will probably stick to those types of investments. How did Heroku celebrate the acquisition? Lindenbaum: We are still planning a big bash. It’s been a long process and then there was a lot of work to be done when it went through. We have had a lot of awesome small celebrations along the way. We are planning something large soon!